What's Pickleball a paddle sport created for all ages and skill levels. The rules are simple and the game is easy for beginners to learn, but can develop into a quick, fast-paced, competitive game for experienced players. 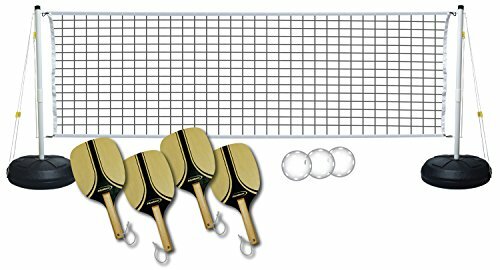 Includes four paddles, three balls, one net and two molded bases able to be filled with sand or water for stability.